What's the Big Difference? The Essential Point to Church Branding. Be Known for Something : Discover Your Church Communication Thread / Brand Strategy / What’s the big dif? Imagine if everything around you was the same. Exactly the same. All your friends: the same. Your meals. Your books. Your tasks. Your clothes. You’d be able to make choices easier, right? Actually it makes choices more difficult because there really is no choice. 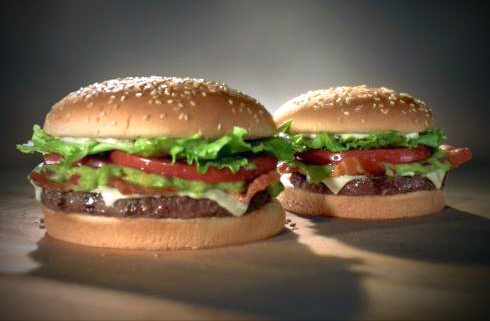 If all hamburgers were equal, then it really doesn’t make sense to try anything else. Just keep going to the original place you get a hamburger. When there’s no difference; there’s no choice. So why do we create Church programs and products that are so similar to everyone else? If we promote “church” by describing all the things that make you the same as “church”; you ultimately eliminate the reason to make a decision to go to your local church. You need to start talking about what makes you different. Like what? Consider who your community of influence is. Where they are. What their pain is. Surprise them with a solution. In a non-“church” style. Ultimately, the community seeks solutions for their predominant pain — if we as a faith-based community don’t offer a better (different) solution — they’ll appease their pain the way they always have. And the Devil is really good at offering “solutions”. Most are temporary and and not as permanent as ours. Be Different! Create a true Choice.